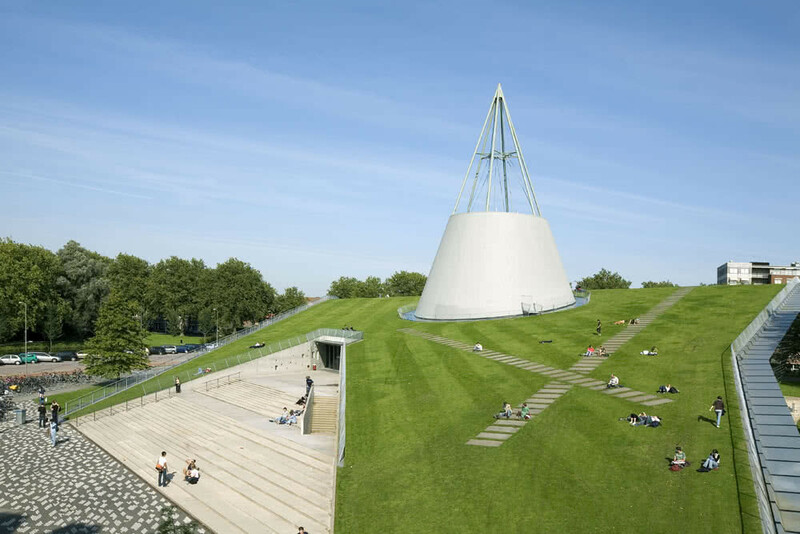 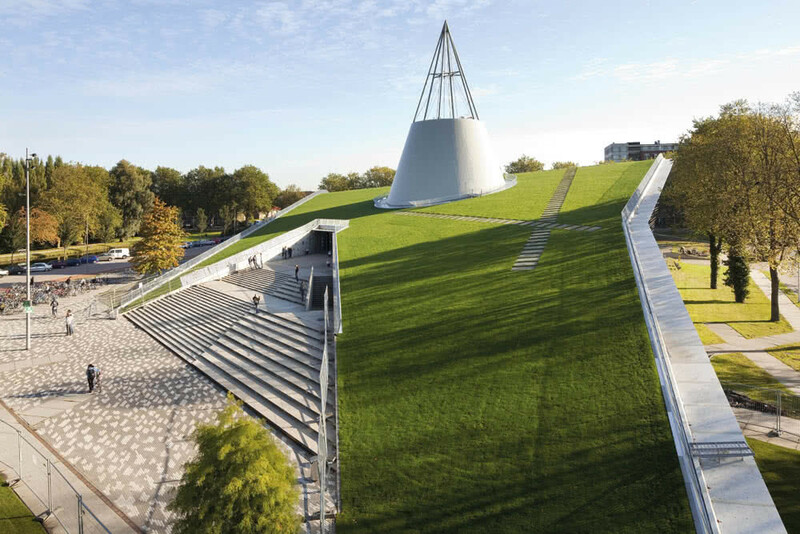 The spectacular living roof of the library at the Technical University of Delft in the Netherlands provides an impressive example of the possibilities that sustainable architecture can offer. 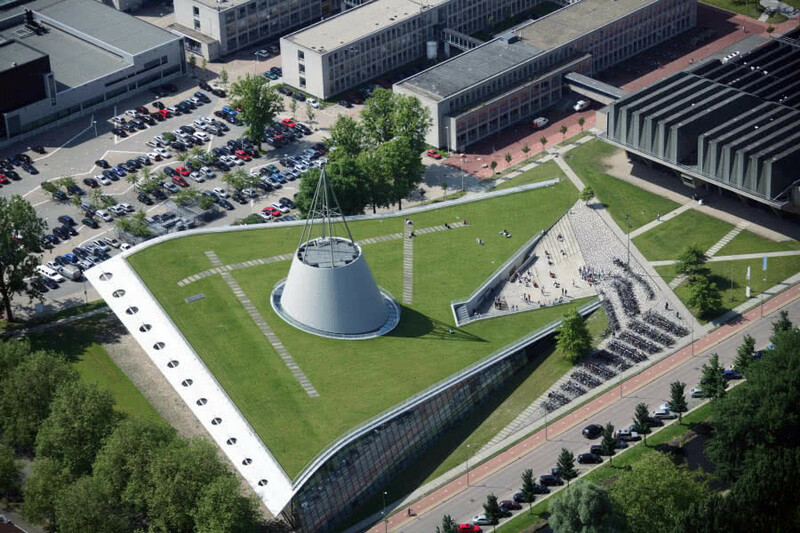 The living roof is both a roof and a relaxation area for the students. 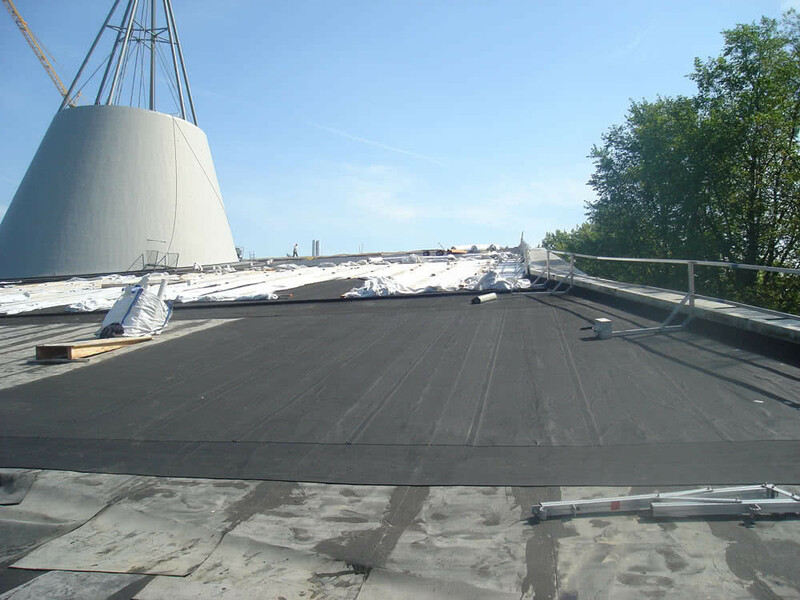 5,500 m2 of the root-resistant EPDM RESITRIX® SK W Full Bond sealing membrane were laid.